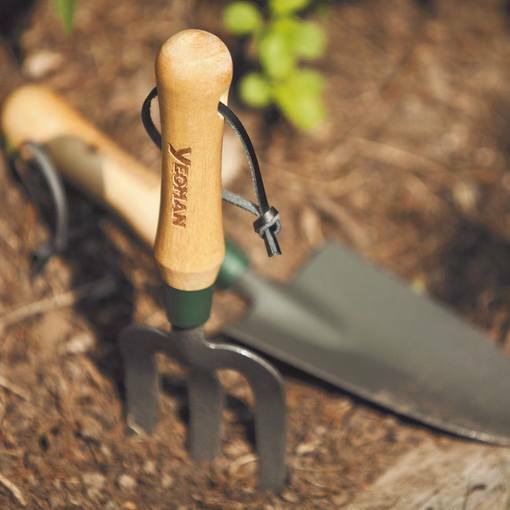 This two piece hand tool collection includes one hand fork and one hand trowel. Both tools feature a carbon steel tool head and are set with a contoured, naturally finished wooden handle and a leather carry strap. Ideal for cultivating borders and containers. Lengths 27cm and 30cm.